Toilets invariably need little tweaks or repairs over time. This guide will show you how to make some common adjustments. 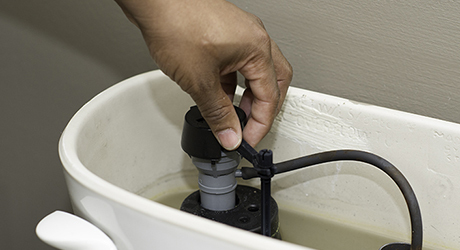 If these repairs don’t solve your problem, look at the Featured Articles menu for additional guides on replacing toilet parts, or even an entire toilet. Remove any excess slack in the chain by hooking it on a different hole in the handle lever or by hooking it onto different links. Adjust the lift chain so it hangs straight from the handle lever with about 1/2 inch of slack. 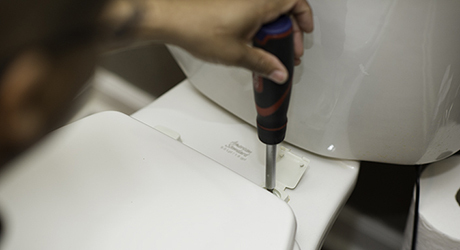 If the handle has too much give or is too tight when flushing, use an adjustable wrench to adjust the nut inside the toilet. 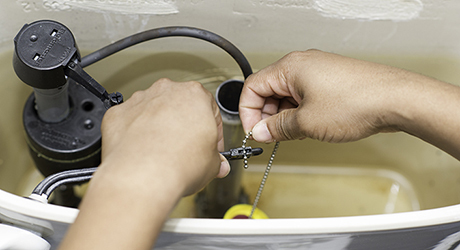 Tip: Unlike other nuts and bolts, the threads on a tank handle are left-handed; tighten counterclockwise. 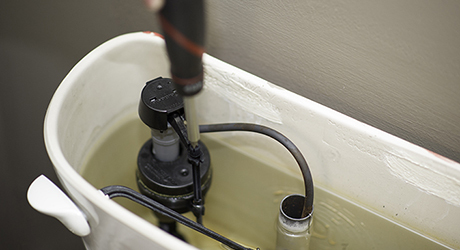 If your toilet has a float arm, use the adjustment screw on top of the fill valve to raise or lower the float arm. Older float arms may not have an adjustment screw and should probably be replaced with a newer fill valve. 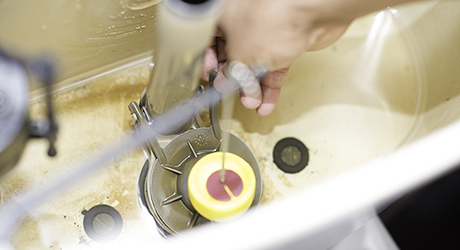 To adjust the water level on toilets with float cylinders, squeeze the float clip to release the float cylinder and slide up or down to adjust the water level in the toilet tank. To tighten the toilet seat, pry back the bolt caps. Then, using a screwdriver and an adjustable wrench, tighten the nut from below while holding the bolt steady with the screwdriver. If the toilet seat is still loose, it is probably time to replace it with a new one. Turn off the water supply at the shutoff valve and flush the toilet. Remove the old flapper. If you don’t already know what kind of flapper you need, take your old flapper to your local Home Depot for help selecting the proper replacement.